Duomo di Milano! My favorite site in Italy. After an eight-day trip to Italy with Dad and Raelene, I am the most well-rested I have been since I arrived in Amsterdam two months ago. Eight consecutive early nights, combined with my inability to stay awake in a moving vehicle, finally managed to put a dent in my constant state of sleep deprivation. Needless to say, it was a very relaxing way to spend my spring break. The 'rents flew into the 'dam two Thursdays ago, and the three of us flew into Milan that Saturday morning. 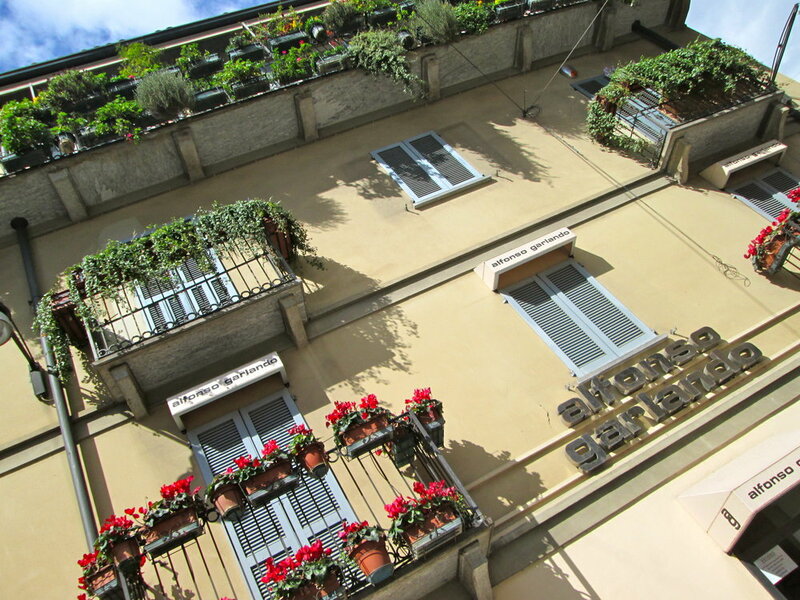 We rented a car at the airport and spent the night in Milan, then drove the two hours down to Florence the next day. We stayed in Florence for two nights, then hopped back into the car for the three-hour trip down to Rome. 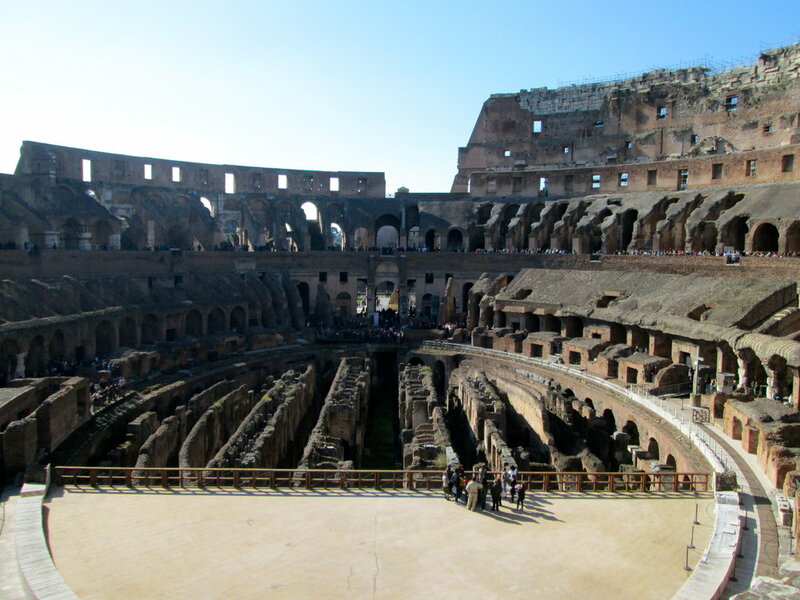 Rome hosted us for four nights. From there, we took the day to drive back up to Milan, passing through Siena and Pisa and even hitting the coast for a moment's look. It was a bit of driving, but we hit all of our major destinations and managed to get an extensive view of the Tuscan countryside. Bought to storm this castello. Basilica of Santa Maria in Florence. Soy pretty. Palazzo Vecchio in Florence. The literal translation is "old place." Ponte Vecchio. More old things - this one is a bridge. The inside of the Pantheon. So breathtaking. Posin' in the Vatican City, backdrop courtesy of St. Peter and his church. 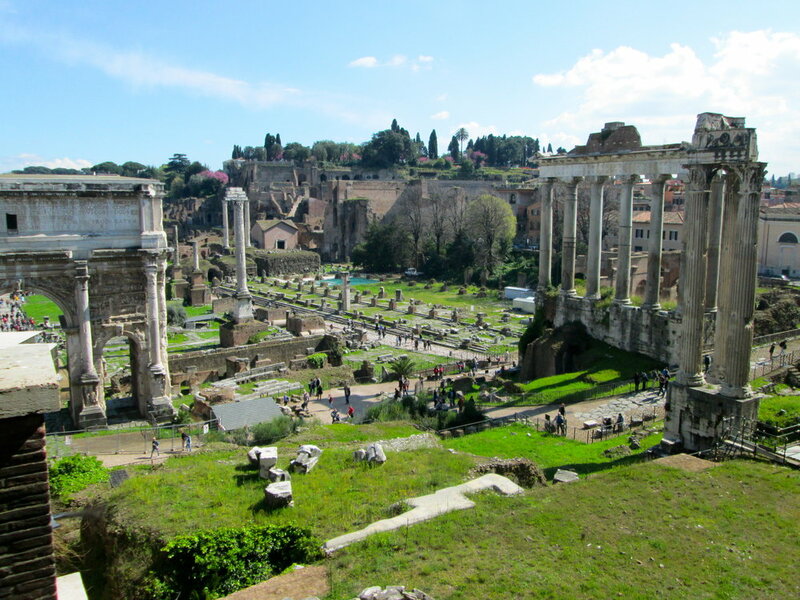 Roman Forum//Palatine Hill. Perhaps the coolest sight ever. You'll never guess the name of this building (hint: it's in Pisa!). Despite my repeated warnings, Dad thought it would be best if we forewent any sort of hotel reservations for our stay in Italy. "Spontaneity" was his word for it. Due to our lack of an address to navigate to from the airport, I punched "Duomo" into the GPS, assuming it would lead us to the city center of Milan. You know what they say about assuming. We ended up in a town called Navaro, which coincidentally also has a duomo (most Italian cities do). After walking around for a while in what we thought was Milan, we finally got ahold of wifi and mapped ourselves to "Duomo di Milano." Turns out it was just a quick 9-hour walk in the westward direction. Major lol. Lost some stred cred points with the parents for that one. Made friends with Kobe Bryant's godfather, Mimmo, at breakfast in our Milan hotel. We became FB friends during the course of the convo. He really liked my pictures. Went to a club with my parents to meet up with Alyssa, fellow Theta sister! Parents had no problem getting in, I was stopped and asked my age. Cool. But super lekker club, and Party Girl Rae killed it on the dance floor. Craiggers was unimpressed, but stuck it out like a trooper. 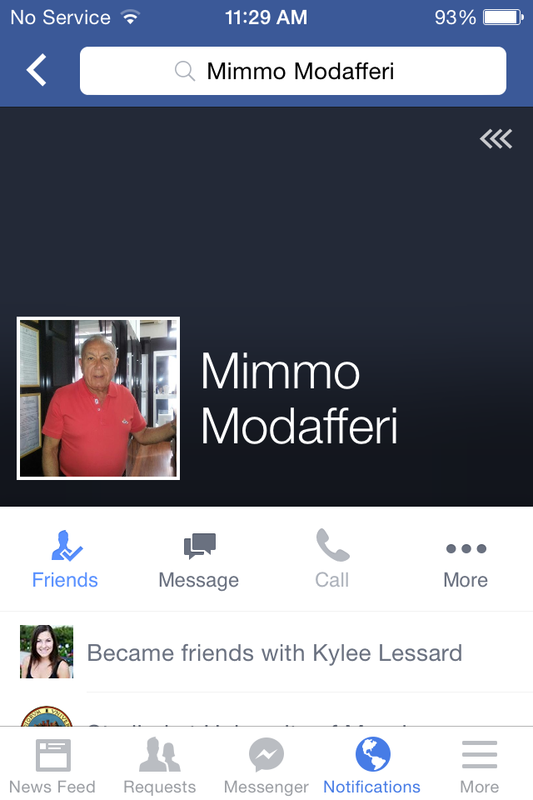 My bff Mimmo, aka Kobe Bryant's godfather. I was shocked at how easy it was to pick up on Italian, having a background in Spanish. The languages are so similar that I found it easier to communicate using Spanish than English. Italian coffee literally changed my life. Those cappuccinos...I can't even. Starbucks, you're dead to me. All of our hotels had bidets...why? Stuff is cloooosed on the weekends. Bustling streets on the weekdays are absolutely dead come Saturday and Sunday. Italians are so friendly and welcoming! They seem to appreciate Americans a lot more than other Europeans. My theory is that this is due to similarities between our cultures, like being loud and obnoxious and eating a lot of food. Lol yay for stereotyping. But honestly, Italy is the only place in Europe where I've seen significantly overweight people. World's best coffee. I had at least two a day. I didn't bother including any comments on the food. It's a given that we stuffed our faces for eight straight days, ate more carbs than we had in the last year and ordered at least one bottle of red wine per day. I may come back with a few extra pounds, but they are certainly worth the memories.